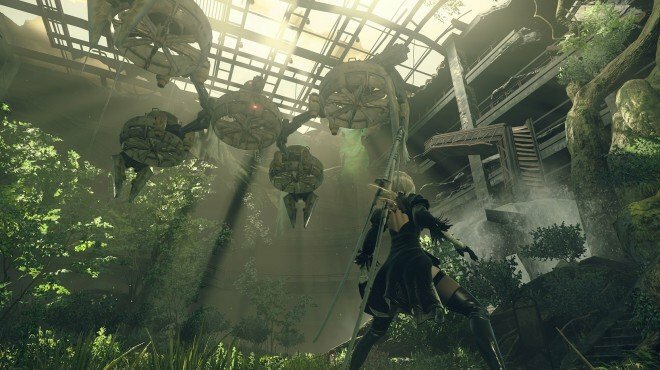 Improving Communications is a Side Quest in NieR: Automata. "You've been tasked with transporting materials to the Resistance in order to improve communications between Earth and the Bunker. You'll be informed of the required materials when you arrive. Proceed to surface and wait for the Commander to contact you." "The Operator has provided info on some materials. The required items can be obtained in the city ruins." "Give the materials to Anemone." "You received a reward from Anemone for completing the task." Talk to the Commander at the Bunker. Collect materials from locations marked on map. If you missed the quest the first time through load from 2-02 as 2B and transport to the bunker, the Commander will give you the quest there. Is this quest repeatable? Need those simple gadgets. This quest is impossible if you got your gear long before that point because you just wanted to explore. what do you mean by load from 2-02 if you missed the quest?